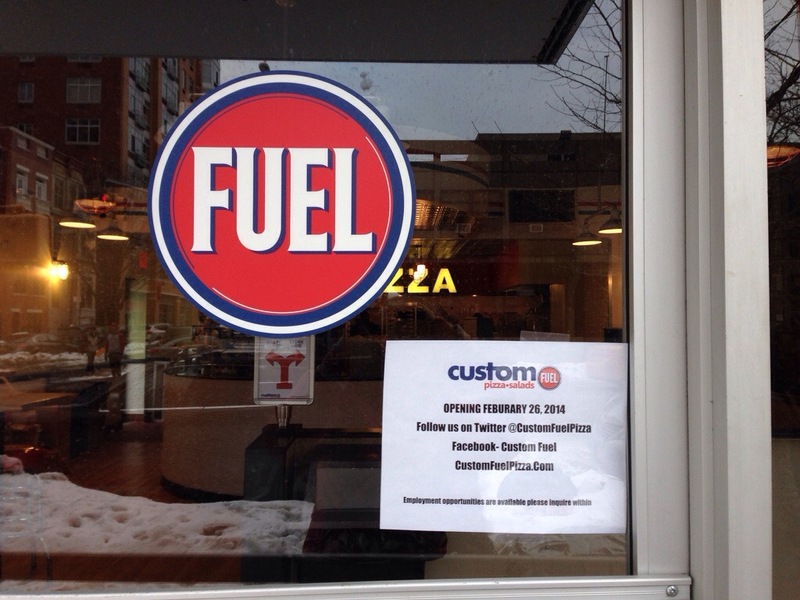 Custom Fuel Pizza moves opening date in Harlem to February 26 | HarlemGal Inc. I walked by Custom Fuel Pizza yesterday, the new pizza joint that will be located at 123rd and Frederick Douglass Blvd., and there was a sign posted on their door that said opening date is now scheduled for February 26. The previous date was scheduled in late January. The sign also noted there were employment opportunities still available and to inquire within. This entry was posted in Custom Fuel Pizza Harlem, food, Frederick Douglass Blvd., Harlem, Harlem bloggers, Harlem blogs, Harlem Restaurant Row, Harlem restaurants, restaurant row, restaurants and tagged @aharlemmommy, Custom Fuel Pizza, Custom Fuel Pizza Harlem, Harlem, Harlem bloggers, Harlem Blogs, harlem restaurant row, Harlem's Restaurant Row, HarlemGal. Bookmark the permalink.